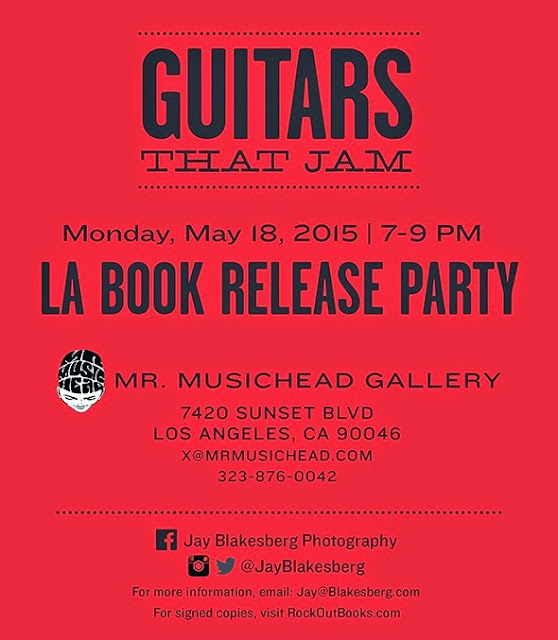 Guitars That Jam is a comprehensive illustrated history of the guitars of rock-and-roll legend. Featuring live concert photography of more than sixty musicians and over seventy-five guitars, this spectacular volume captures the personal connection between artist and instrument. Along with the year, make and model of the guitar, each image is accompanied by a story from the musician detailing the guitar's significance to them and rock history. Including photographs of Neil Young, Carlos Santana, Jerry Garcia, Trey Anastasio, Nels Cline, Derek Trucks, and Grace Potter to name a few, with a foreword by Warren Haynes, Guitars That Jam is the ultimate photographic guide to the world of improvisational rock guitars. ALOFT DETROIT IN THE DAVID WHITNEY BUILDING! HAPPY 80TH BIRTHDAY TO MY MOM! STEALING DYLAN FROM WOODSTOCK: COOL NEW BOOK! NEW DOCUMENTARY ON PAUL NEWMAN'S RACING CAREER!